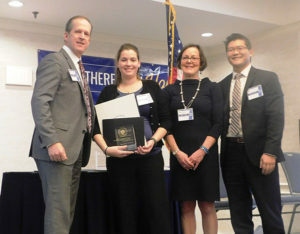 Westborough – Over 200 local business leaders, as well as town and state officials, gathered Jan. 25 to honor 10 Westborough businesses and two school organizations at the 2018 Year in Review and Fifth Annual Celebratory Event. 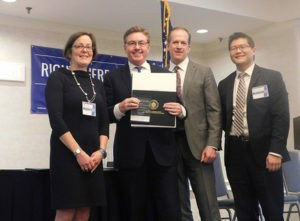 The event, held at the DoubleTree by Hilton Hotel Boston – Westborough, was hosted by the Westborough Economic Development Committee (WEDC). Lt. Gov. 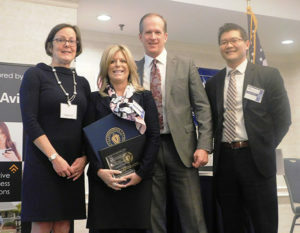 Karyn Polito, the keynote speaker, praised the business community, as well as local officials, for their collaborative efforts which helped to bring 60 new businesses to Westborough over the past year. 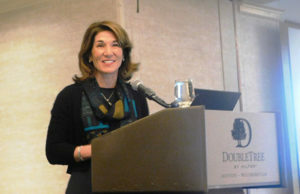 Much attention has been paid to economic development in the Seaport district of Boston, Polito noted, but it was “exciting to see the growth in Metrowest as well,” she said. Equally important, she added, was the continued efforts of state leadership to increase resources for businesses to succeed in the commonwealth. “We are here for you,” she said. “We have the tools to help you,” she said of the Baker-Polito administration. 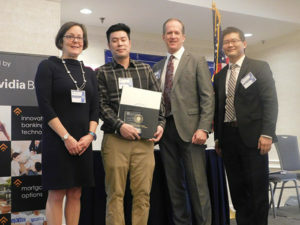 After Polito’s speech, Bonnie Sullivan, WEDC chair and James Ball and Joshua Lee Smith, WEDC ambassadors, presented awards to 12 organizations for their contributions to the local business community. 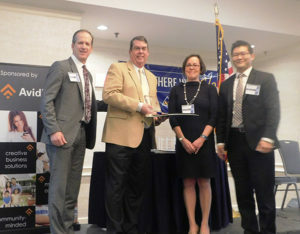 Public-Private Partnership Award – PENTA Communications, Inc. 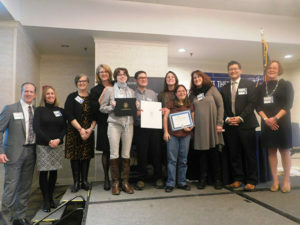 The EDC also presented two Civic Pride awards to representatives from the Westborough Public Schools. 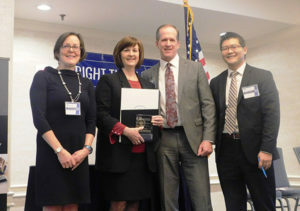 Johanna DiCarlo, the Westborough High School Athletic Director, accepted the award on behalf of the initiative Rangers on Track, which raised funds to make improvements for the WHS track and field complex. 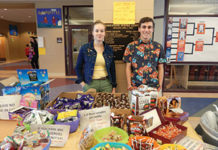 Led by School Superintendent Amber Bock, faculty and students accepted the award for the BORO Sugar Shack, a candy store that is run in the downtown area by post-high school transition. 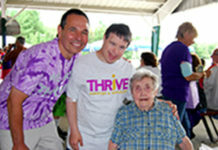 For additional photos from the ceremony visit www.communityadvocate.com. 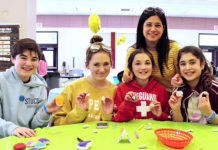 For more information visit edc.town.westborough.ma.us.